ALVIN & THE CHIPMUNKS : The Squeakquel is already one of the favorite movie of kids all over the world. 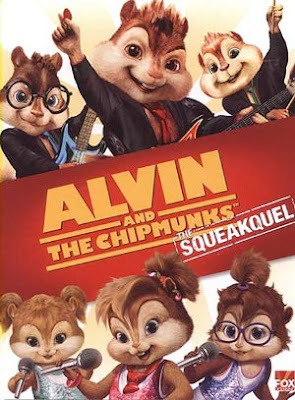 The good news for all the fans of ALVIN & THE CHIPMUNKS : The Squeakquel is that this movie is now available on DVD and Blu-ray discs. This movie is also available on the Digital Download. So that you can directly download it to your computer or other gadgets. This movie is now available in two DVD pack. This double DVD pack includes "The Squeak Along" Bonus Disc, with more music, mayhem and lots of new singalongs! So, it will be double fun on the price of one. So buy it now and enjoy the nice movie with your entire family and kids. You can also play the games, watch the videos , views gallrey related to ALVIN & THE CHIPMUNKS : The Squeakquel on www.munkyourself.com . You can have great fun there with your kids. This movie is a must have for all the parents for their collection as the kids will defintely love to watch this movie. And if you want More Munk Mayhem then, please visit www.foxfamilyflicks.com . So, bring home the DVD, Blu-Ray of ALVIN & THE CHIPMUNKS : The Squeakquel or just download it and have a great experience with your family and little kids :) .